Here are the full patch notes for Spec Ops 11 for Marvel Avengers Alliance, which features Daimon Hellstrom as a potential reward. The notes highlight the abilities of Daimon and his lockbox-recruitable sister, Satana. We know that many of you have been anxiously awaiting the debut of Season 2 for Avengers Alliance. Admittedly it has been “Coming Soon” for too long now. We are excited to report that it is getting very close and we want to make sure not to rush it and take time to make it as polished and fun as possible. There will be a lot of new content to enjoy. We’ll be giving more updates on what Season 2 will include in the days to come. Keep an eye on San Diego Comic Con. Thanks for your patience! While we’re still working on Season 2, we hope you enjoy our latest SpecOp! See below for more details. 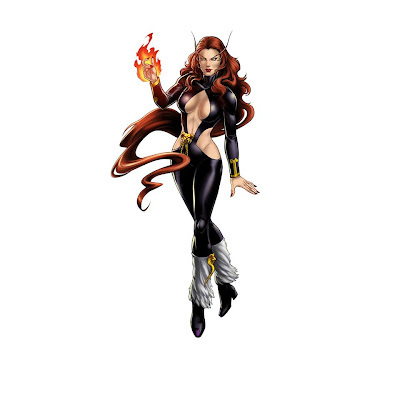 We have recently updated the newspage in Marvel: Avengers Alliance. The new layout incorporates several features that we feel enrich the experience. Check it out! Briefing - Portals to the infernal realms have unleashed demons onto the streets of San Francisco! S.H.I.E.L.D will have to fight fire with fire... by summoning a few hell spawn of our own. Bio – Seeking to acquire influence on Earth, the demon lord Marduk Kurios sired a son with a human woman. That son became Daimon Hellstrom, who rejected his father's plans, traveled to the infernal realms himself, and stole his father's Netheraneum trident, which allowed him to tap into his own vast mystical abilities. In order to control the dark side of his heritage, Daimon became an expert in sorcery and the occult, as well as a powerful warrior in the fight against Demonkind. We are introducing yet another group boss villain to Avengers Alliance with Spec Op 11, Blackheart. Like Ultron and Red Skull, users will recruit their friends to help defeat Blackheart. The functionality of this group boss will be similar to that of the last group boss encounter. The new lockboxes debuting in this Spec Op will be the Demonic Lockbox. Just like the lockboxes in previous spec ops, these new boxes can be obtained through various tasks and for participation in Blackheart Group Boss fights. They will have a new look that differentiates them from the previous lockboxes (which will remain available in the store, not be replaced). Just like our previous lockboxes, they will have a chance to reward a rare comic cover from our new Collection, or contain a less-rare but useful powerup or consumable. Perhaps even some old but powerful weapons! Collections are made up of 8 classic comic book covers that, when combined, will unlock a special character. There will be a “Collections” screen where players can view their collections and view which pieces they are missing. Players can then buy Lockboxes or earn them from fighting Blackheart to try to find the rest of the Collection! Each comic book cover comes with a new piece of story written specifically for MAA from that character’s perspective. The new collection reward for the Demonic Lockboxes is Satana (details below). Bio – While her brother Daimon rejected his demonic parentage, Satana Hellstrom embraced it wholeheartedly. Trained in the black arts by her father's demonic subjects, she preys on unsuspecting men and feeds on their souls. After she discovered Mephisto's plans to harvest her life essence, she fled the infernal realms to seek protection from S.H.I.E.L.D.... though she is anything but repentant.